Hello! It's Michelle here with a mini album to share with you. My birthday is coming up, and I wanted to make a fun mini album using some of my favorite pictures from the past year. I also challenged myself to use some of my new scrapbook supplies that I wanted to hoard. The album is quite short and not really representative of a whole year, but it was so much fun creating with some of my favorite things. 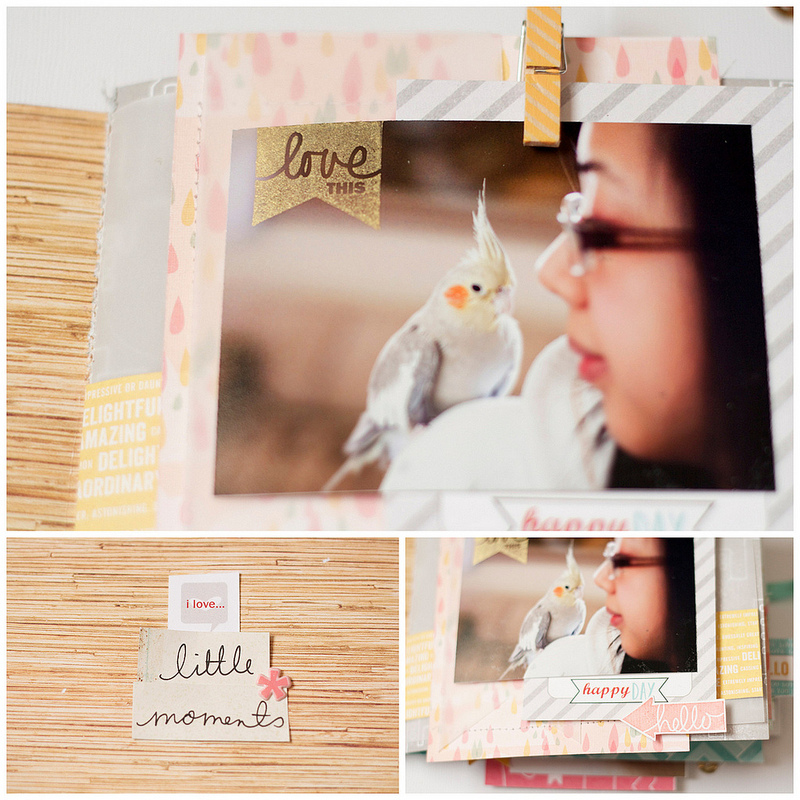 This is the completed mini album from different angles. The pages range from about 4 x 6 inches to 6 x 6 inches and are held together with stitching down the center. Some detail shots. 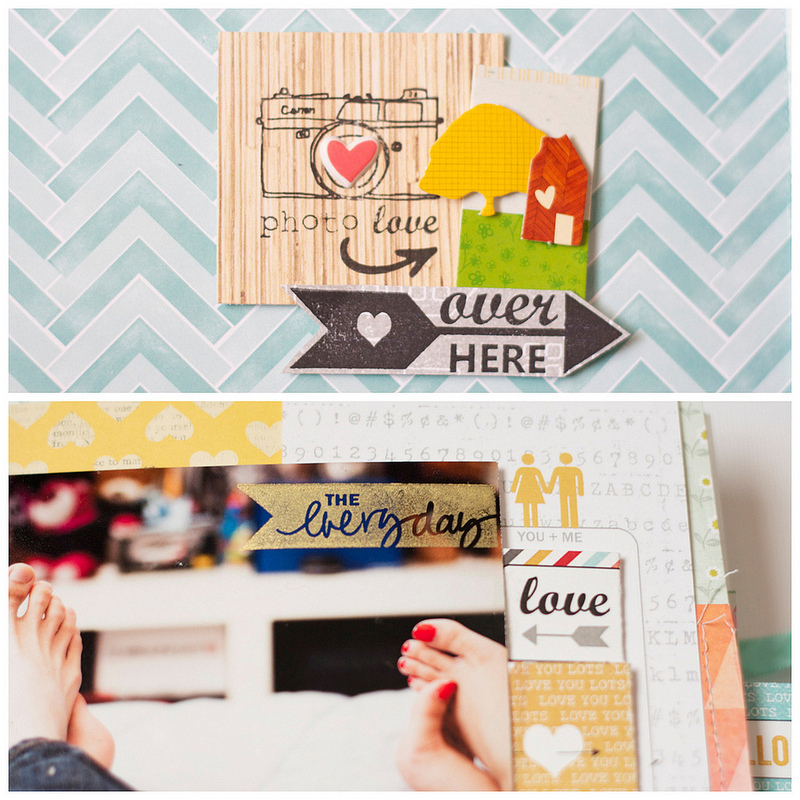 The first photo of the whole spread showed off the effect of the stamping a little better than the close-ups. It's a really beautiful effect in the sunlight! 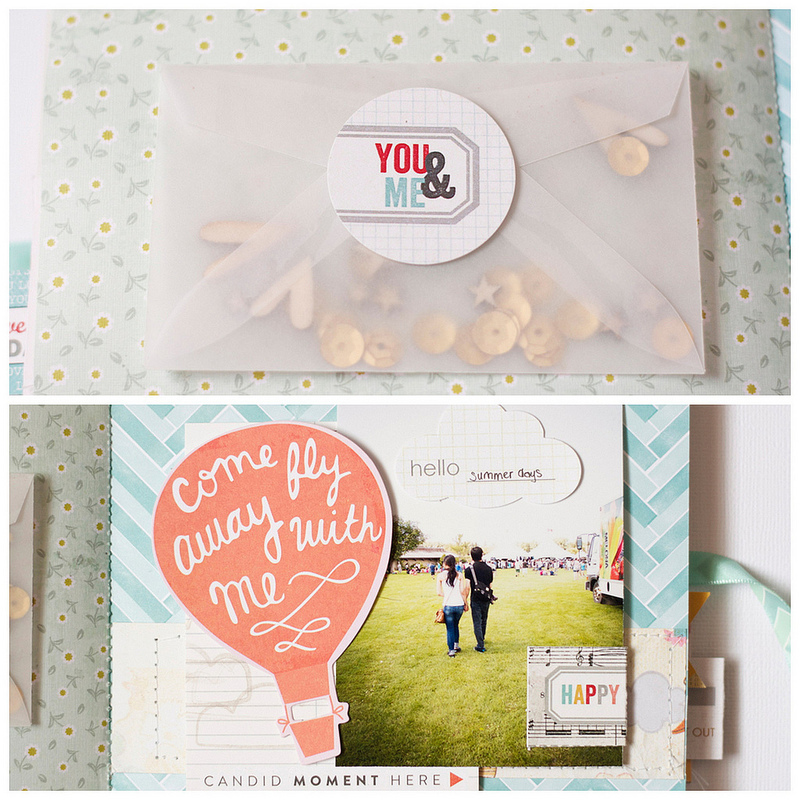 I used an Evalicious snipsnip label for the sentiment on the left, and added a stamped image and a"love you lots" journaling card for layers. Sorry if you don't like feet! This photo was taken back in May/June when my boyfriend came back for the summer. We were both quite busy with work (him) and school/volunteering (me), so it was nice to just relax together. I'm not the best stamper and I usually stick to stamping on plain cardstock, but I'm glad I ventured out and tried it on patterned paper. I love how that stamp looks on the woodgrain paper! I used some gold ink to stamp directly on the photo again, and layered a journaling card and snipsnip labels from the "love you lots" line. In July, my boyfriend and I took a weekend trip to a nearby city for our annual visit to the zoo (specifically the gorillas!). I get a little paranoid about being in the sun too long, so I was slathering on sunscreen. I swear, my boyfriend's photography makes me look much better than I do in real life! I stamped on the vellum and added some stickers and accents. 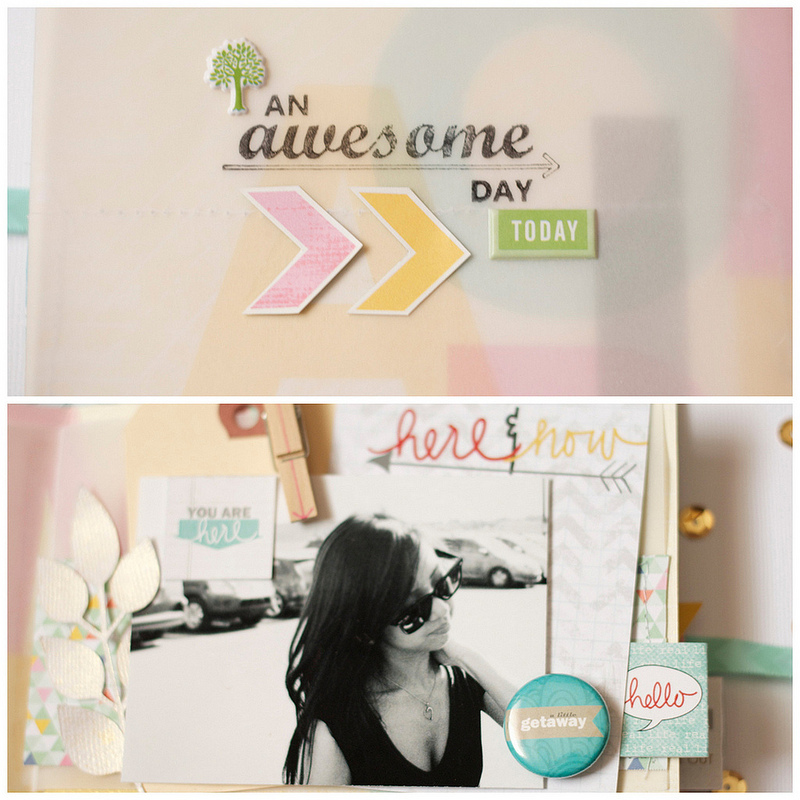 I used some of the "real life" snipsnip labels and another journaling card for layering. To finish, I picked this fun little "getaway" badge as it fit nicely with the theme. In August, there's a festival that showcases different cultures. There's lots of food and traditional dancing, and it's quite fun except for the fact that we always seem to go on a super sunny, hot day (I don't do too well in the heat). I love this photo because we rarely have photos together that are not self-taken. Keeping with the theme of having a simple left side of the spread, I used a little vellum envelope and filled it with gold sequins and wood veneer. The circle tag was the perfect finishing touch. On the right side, I used a light grey ink to stamp the Evalicious cloud a few times on a journaling card (like Natalie's tutorial). I like the subtle effect, and how it goes well with the hot air balloon. I also used an Evalicious cloud tag and a snipsnip label as fun accents. More recently, I did some baking. I received a lovely mixer last year for my birthday, but when I'm busy with school, I'd rather just buy and eat cupcakes rather than deal with the clean-up. I've had a little more time lately, so I made some vanilla cupcakes with lemon-vanilla frosting, yum! 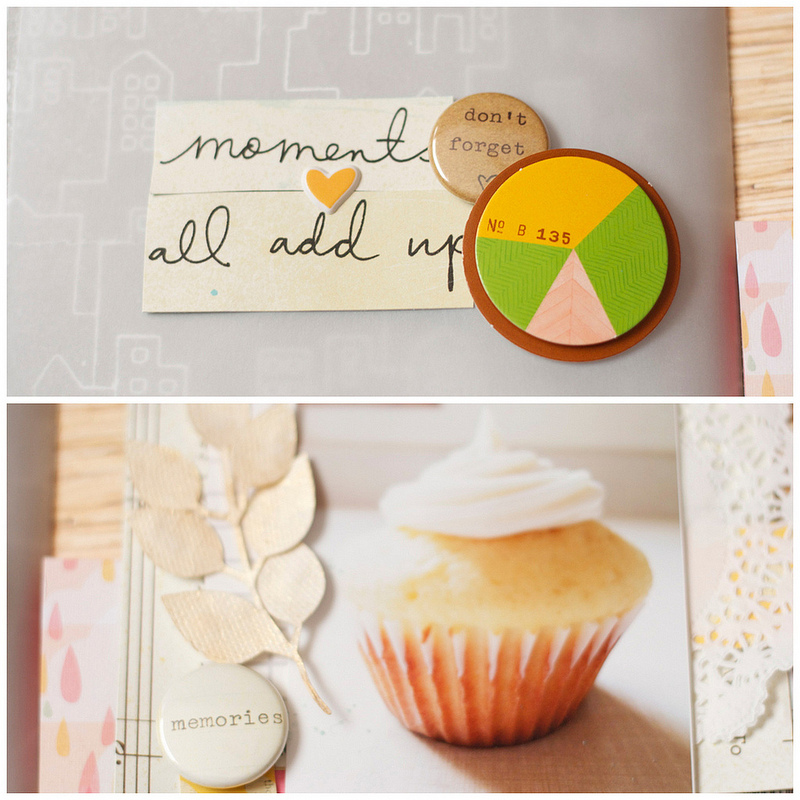 I love these "take note" badges, they are super cute and easy to add because they're neutral. Thanks for looking through this long post! 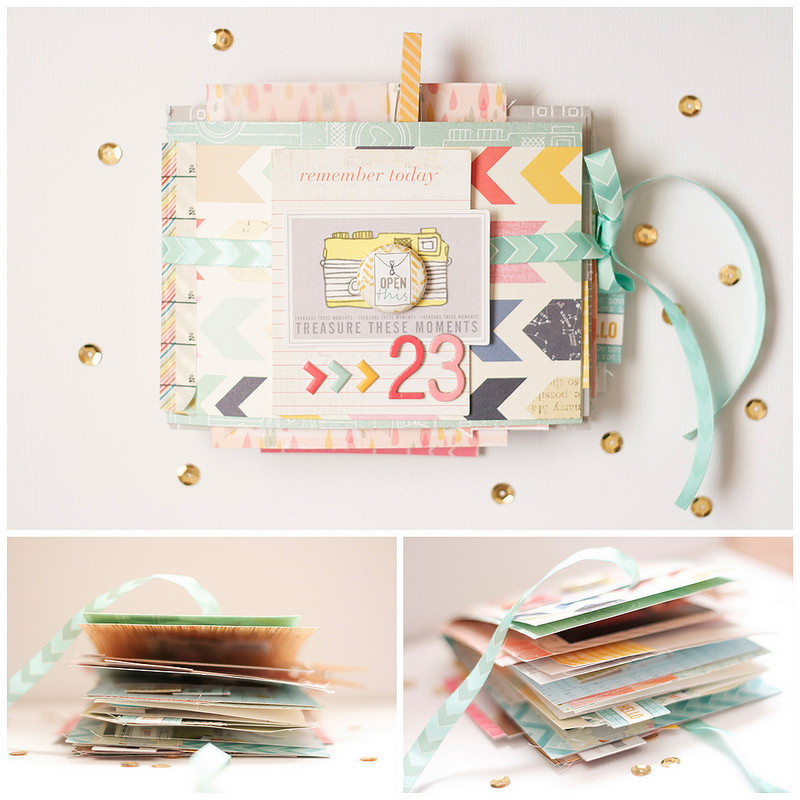 I hope you are inspired to take out some of your favorite supplies and put them to use. 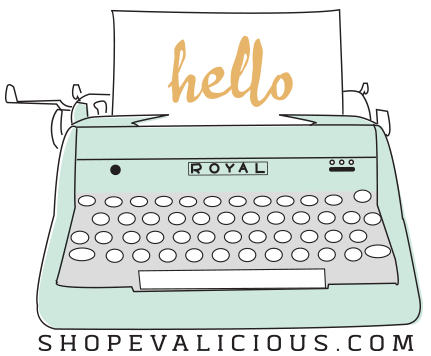 There are a few days left for the Evalicious challenge! Post your tutorial-inspired Evalicious creations in our shopEvalicious.com Flickr pool and link them up in the comments here for a chance to win some Evalicious product! The deadline is Saturday, March 30th at midnight. The winner will be announced on March 31st. wow this is fabulous and what a lovely keepsake. OMG, the sequins in the little envelope with the wood veneer!!!!! Yes, yes, I'm buying glassine envelopes!!! Love this I absolutely love the touches of old throughout. I think I need some gold ink. Excited I have a lot of these products to incorporate into my own mini. Thanks for the inspiration!